Safer and easier to use than a kitchen knife, our Smooth Soap Cutter is the right tool for the job! This will neatly slice any type of soap up to 4” deep into individual bars. 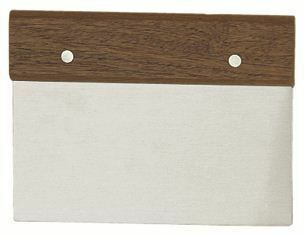 The hardwood handle and stainless steel blade ensure that this will last a lifetime. Measures 5" x 7" overall.